Rottie Friends Rescue has rehomed in excess of 100 dogs in the last 2 years. Thank you to our wonderful adopters who keep us updated with their progress and pictures. 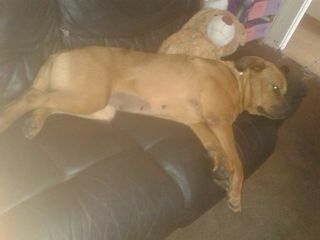 Here’s Lulu super friendly Rott x Mastiff loving the sofa in her new home. 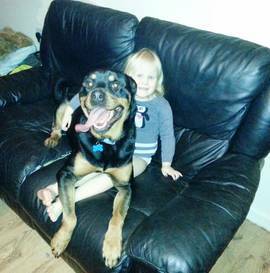 We are told she loves her new canine friend and the children and has settled in really well. 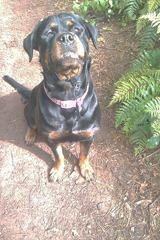 Here is Star enjoying a walk in the woods at her new home near the Sea side. She has been great with the children and the cat and is settling in well. 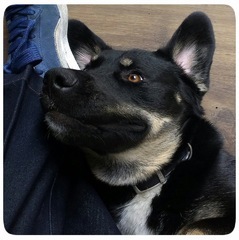 Here is Roxy enjoying games at her new home. She has settled in well although the open plan kitchen has been a challenge and some fridge raiding has taken place! Advice on gates and training is being given. 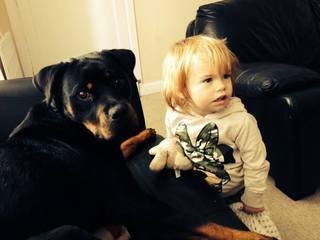 Here is super friendly Sophie now very happy living by the seaside and with her mini human friend. 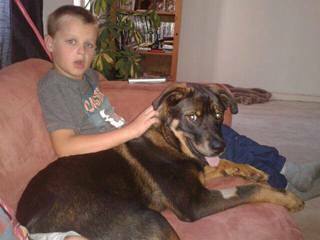 Here is Jasper GSD x Rott Puppy in his new home with one of the children (he loves them all) he has settled well and has started his obedience classes and is doing well. 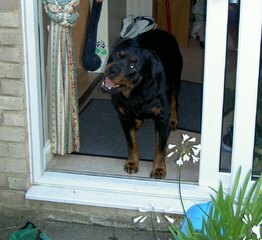 Here is the wonderful Robbie Rott who is now living near the seaside and owners say he is great fun and has settled well. Here’s Jojoe enjoying a trip out in the car with his new Dad. 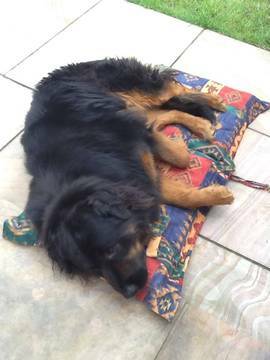 He is much loved and gets many long walks in the countryside and is greeted by all the neighbours. 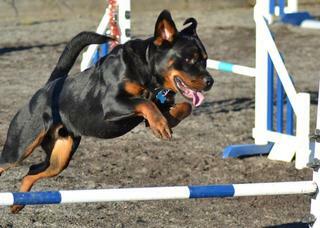 Here is Zeko who we re homed a year ago, he has done so well with his agility training and is about to start competing next month. 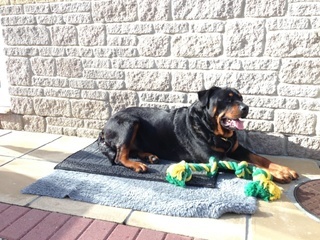 Here is Mr Riddick enjoying all his toys and chilling out in the back yard of his home. 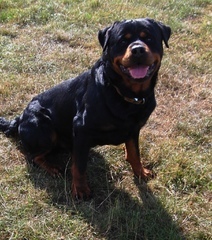 Riddick took a while to settle in and presented his new family with a few challenges but with on going support from the Rottie Friends training crew he is now much loved and settling nicely. 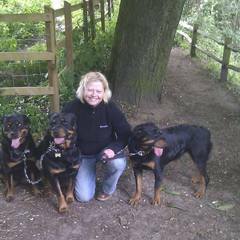 Here are Sunny, Buster & Mollie with their Mum. 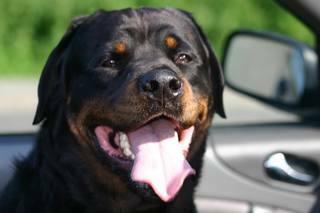 They all found a home together via Rottie Friends and show that Rottweilers are like chocolates: Addictive!! Here is the super friendly Hooch Pooch who was left tied to a bench at the park and couldn’t open his eyes due to major eye infections caused by ingrowing eyelashes. He had his surgery and recovered at Rottie Friends Rescue and is now very happy in his forever home and is training to become a Pets as Therapy Dog. 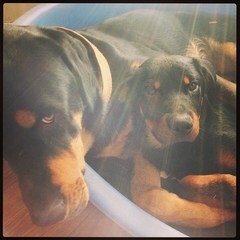 Here are Ollie and Loki both adopted from Rottie Friends. Ollie was one of Lindies pups and adopted at 8 weeks he is now 14 months and his Mum came back recently to adopt little Loki pup who now has a big brother and two other rescue dogs to live with. 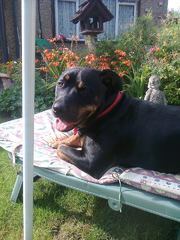 Enzo super friendly Rott x Akita relaxing in his new home where he is enjoying going on long walks and to training. The wonderful Baloo very happy in his new home with beds in every room and in the garden and loving going to work with Mum and Dad.